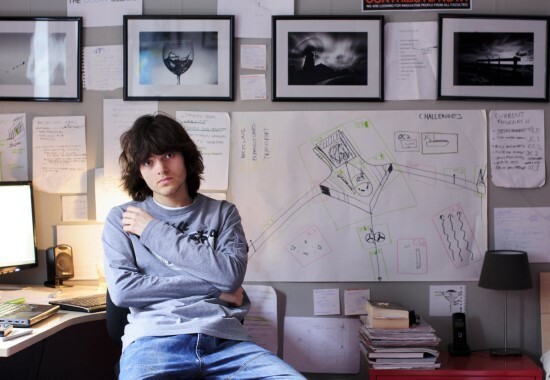 Boyan Slat, a 19-year-old from the Dutch town of Delft, combines environmentalism, creativity and technology to tackle the global issues of sustainability and ocean pollution. With his concept called Marine Litter Extraction, Boyan Slat proposes a radical clean-up solution, for which he won the 2012 Best Technical Design at the Delft University of Technology and second place at the 2012 iSea Clash of the Concepts sustainable innovation award by the Dutch Ministry of Infrastructure and the Environment. No stranger to accolades, at age 14, Boyan has been awarded the Best Idea of South-Holland Award and Guinness World Record. The idea of Ocean Clean-up was born when Boyan went on a diving holiday to Greece with one of his Scottish friends. A passionate diver, Boyan was dismayed to see more plastic than fish. Astounded by the depressing sight, his friend turned to him and jokingly said, ‘Well lots of jellyfish here. Seen about a thousand!.’ There were no jellyfishes. Research reveals that parts of the Pacific Ocean have six times more plastic particles than plankton, the ocean’s source of life. As society has developed new uses for plastics, the variety and quantity of plastic items found in the marine environment has increased dramatically. These products range from common domestic material, to industrial products to lost or discarded fishing gear (nets, buoys, traps, lines). Efforts to retrieve these waste materials have been mostly futile but Boyan’s solution provides hope. A week after returning from his holiday, as a school assignment, Boyan was allowed to study any subject of his choice. He decided to delve into the topic of plastic pollution. The project needed more time than a school assignment afforded. Therefore, on another trip to Greece, Boyan and his friend constructed a manta trawl , a net system to sample the oceans’ surface, 15 times finer than a regular one. They tested it to see if it cleans up the pollution. However, along with particles of plastic, vital plankton were also captured. Boyan and his friend separated the plants from the waste using centrifugal force. They continued their research to determine up to which depth the oceans should be cleaned, by creating a multi-level trawl, which they tested in the North Sea. “I believe the Great Pacific garbage Patch can clean itself in just five years,” the innovative engineering student declared. Boyan’s last experiments in Greece and the North Sea were the basis for the creation of the Marine Litter Extraction. His invention involves placing floating booms between interconnected processing platforms, which are stationary, as they are attached to the seabed. In the oceans, waste is usually carried by currents to gyres, swirling bodies of water that act as garbage dumps. By placing the processing platforms in the gyres, the currents would carry the pollution straight to the booms, which become giant funnels in trapping the waste. The debris then enters the platforms where it is filtered out of the water and stored for recycling when it reaches land. Since no mesh is used, the minute organisms of the sea would remain untouched. Also, all other organisms would be able to move under the boom, thereby 98.5 of the aquatic wildlife will be able to escape the filter. As the platforms’ wings sway like a manta ray, the contact of the inlets with the surface can be ensured, even in the roughest weather. The platforms would be self-sustaining, running on energy received from the sun, waves and currents. Seabed processors will be attached which will prevent emissions and save manpower. The project will pay for itself and the plastic collected could be then sold off. Thus, the project might be profitable! Boyan believes current prevention measures will have to be supplemented by active removal of plastics in order to achieve success in conserving our beleaguered oceans. The researchers working on The Ocean Cleanup Project, including Boyan, are halfway though with their feasible study. However, the preliminary results look promising and the team of fifty engineers, modellers, external experts and students is making good progress.